You’ve probably seen the photos of the green Olympic pools in Rio. They should have called us! In this article, we’re going to look at this phenomen at the 2016 Olympics, but first, we want to offer some suggestions so you don’t end up with a green pool in your backyard. It’s August in Oklahoma, and it goes without saying that it’s hot. Plus, we’ve been having numerous pop-up showers. This combination can wreak havoc on your swimming pool. We recommend staying on top of your sanitizer this month to keep your pool crystal clear and clean. If your pool is turning green or algae is present, use Turbo Shock. 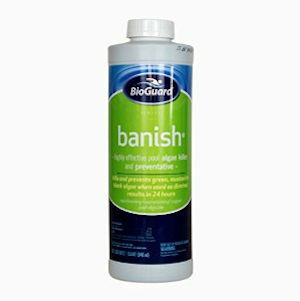 If algae is present in your pool, or your pool is turning green, use Banish. For preventative maintenance, use Smart Shock and Backup. Let’s look at each product. poolife® TurboShock® is a powerful, shock treatment. With 75% minimum available chlorine, poolife® TurboShock® shock treatment works fast to combat algae and bacteria. It dissolves more quickly and completely and keeps your pool water sparkling clean and clear with less work. For best results, always ensure pH is correct before shock treating your pool. The premium formula is highly effective and kills ALL types of algae. It’s fast-acting, non-foaming and produces results in 24 hours. You can use it in chlorine or bromine pools with all surfaces or filter types. 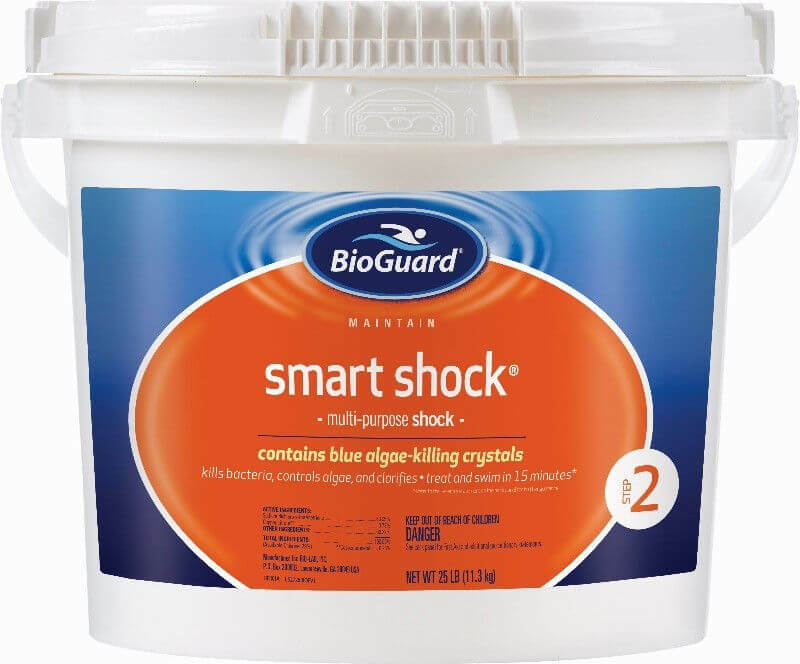 Keep pool water clear with BioGuard Smart Shock®! It’s the best way to kill bacteria, oxidize, buffer and clarify your water. Kills algae – contains blue algae-fighting crystals. Clarifies the water using a filter enhancer. Buffers pH to provide brilliantly clear water with no cloudy residue and without increasing pH. Non-staining formula prevents a wide variety of algae. Powerful wetting agent and surfactant helps it work into cracks and crevices. Can be used with the 3-Step or Once-A-Week 3-Step BioGuard Care System. It’s not appropriate for pools with attached spas or water features. Algae grows in salt or fresh water and thrives in temperatures above 85°F. In fact, it can “bloom” overnight. When algae spores constantly enter pool by rain, wind, animals, toys or swimsuits and are left unchecked, they can clog filters and create surface damage. Common “green” algae are microscopic, aquatic plant-like organisms and can be free-floating or wall clinging. What Caused the Two Green Olympic Pools? According to CNN, Olympic organizers had to take extreme measures by completely draining one million gallons of water in one of the pools that had turned green. And, this was just before synchronized swimming events were about to begin. The water polo event had to move to another venue. Olympic organizers had tried to clean the pool for four days, but to no avail. Draining was a last ditch effort. Regarding the green diving pool, organizers decided not to drain this pool but to improve the filters. So far, there haven’t been huge complaints about the health and safety of the athletes. Why did the pool turn green? Some say hydrogen peroxide is to blame. Others said it was a change in alkalinity and another blamed algae. Still another source said the water tanks had run out of water-cleaning chemicals. Whatever the cause, it certainly wasn’t something Olympic officials wanted or planned for. We are accustomed to azure blue swimming pools. This is how they are supposed to look. 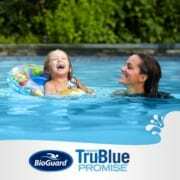 Pools look bluer and are usually free of contaminants when in this state. If you’re struggling with the health of your swimming pool, contact our expert service department today! We are here for you.